The Jason Miller Memorial Chorus Fund was created in Jason’s name to support participation in the St. Petersburg Opera Chorus of young, promising singers in financial need. 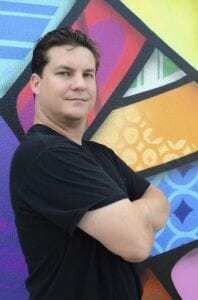 Jason was bright and skilled in other ways, too, teaching music lessons at his own Gulfport Music Studio, singing as the section leader at St. Wilfred Episcopal Church in Sarasota, and composing original works. Jason had conducting ambitions, and was instrumental in assisting Maestro Sforzini with preparing orchestral parts for the December 2016 production of Seasonal Sparkle. A respected music teacher, Jason generously donated his time, talents, and diverse collection of musical instruments to the St. Pete Opera Express musical petting zoo. Jason was an emerging talent who had only recently chosen to pursue his passion for music as a full time career. In his memory, St. Petersburg Opera has established the Jason Miller Memorial Chorus Fund to increase chorus stipends for young, professional choristers in financial need, who embody Jason’s musical promise, his eagerness to learn, and his dedication to the pursuit of great artistry. The fund will benefit multiple singers each season. To donate to the Jason Miller Memorial Chorus Fund, please CLICK HERE TO DONATE. Thank you for helping us keep Jason’s spirit and love of music alive.